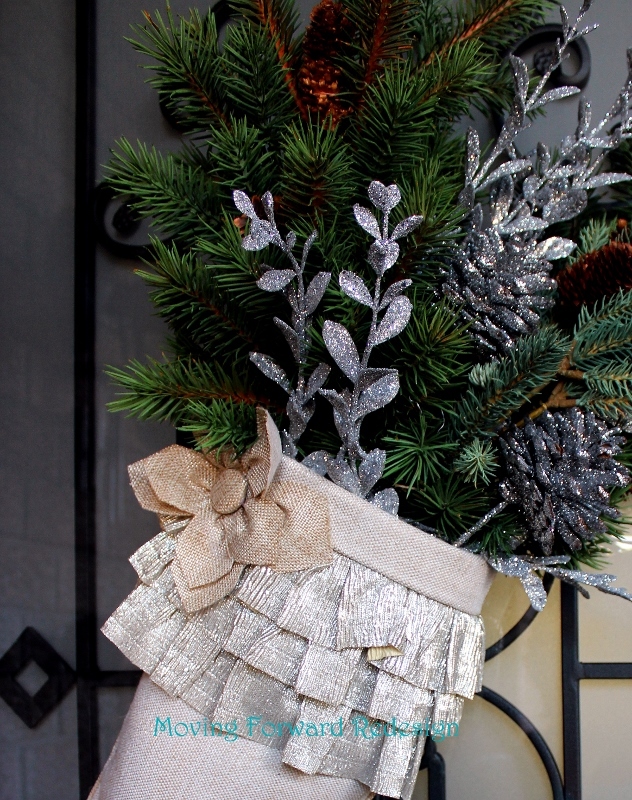 I found a stocking that matched the skirt on my Christmas tree and it was perfect for my front door. ( do you think I am kidding or that I have lost my mind?). 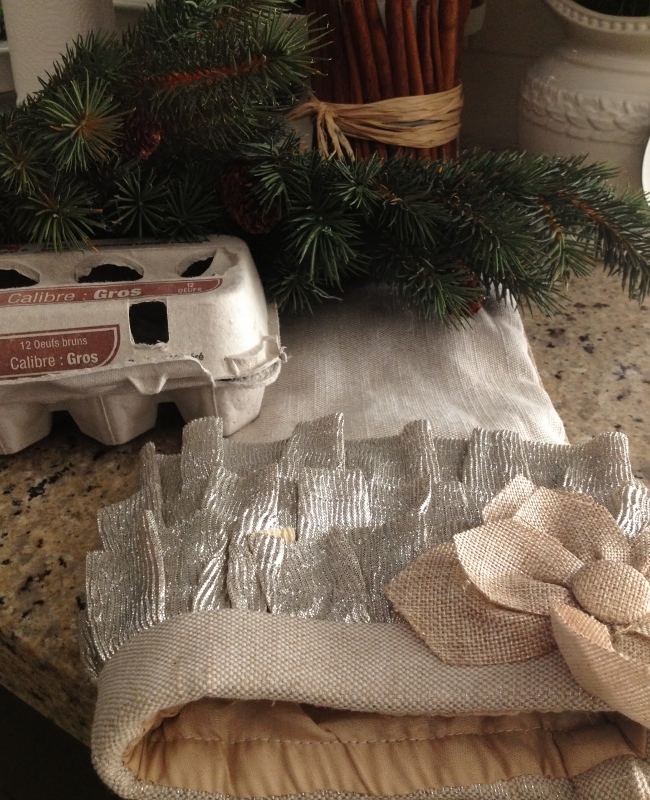 The first stocking I made I was at my farm and while searching for something to fill the stocking all I could find were empty egg cartons…it worked perfectly. It filled the stocking and also provided support for the picks. It was easy to insert the picks and have them stay in place. 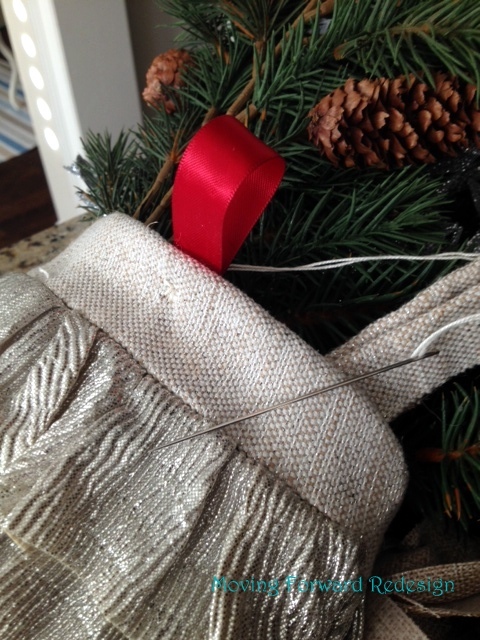 After filling the stocking I added greenery and some sparkly silver picks. I added some ribbon to the back to hang the stocking on the door as the one that comes with the stocking in too much to one side. 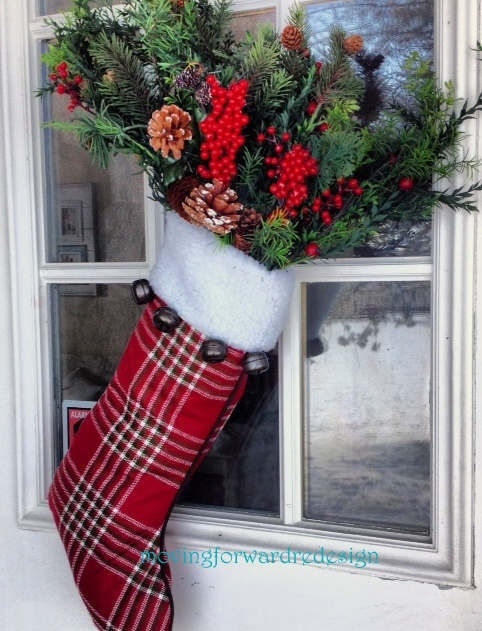 The stocking for the farm-house door has some red berries and an assortment of picks I had on hand. 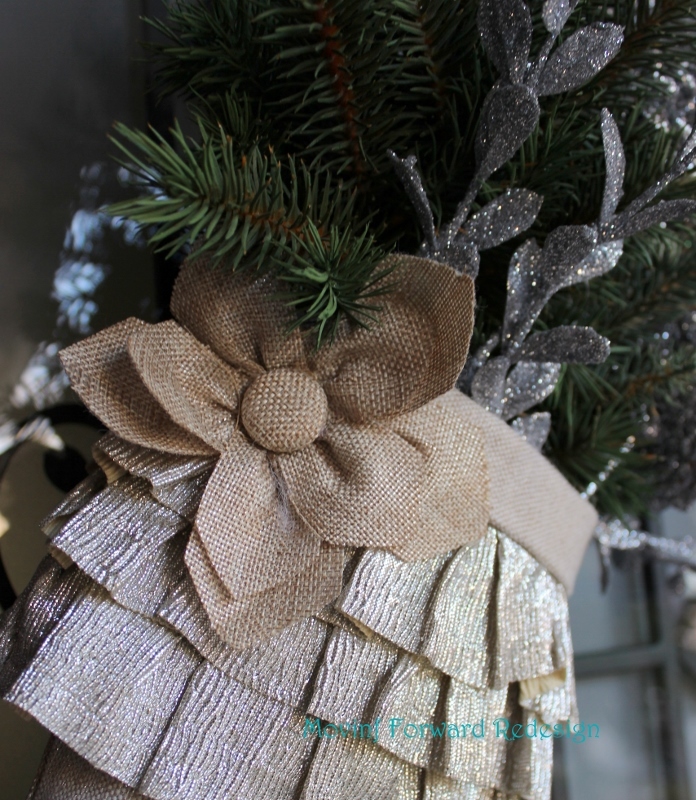 More Christmas wreath ideas HERE!! Your very welcome, I am happy you liked it. Very festive! Thanks for sharing! Hmmm I think that would be a great idea for my front door. 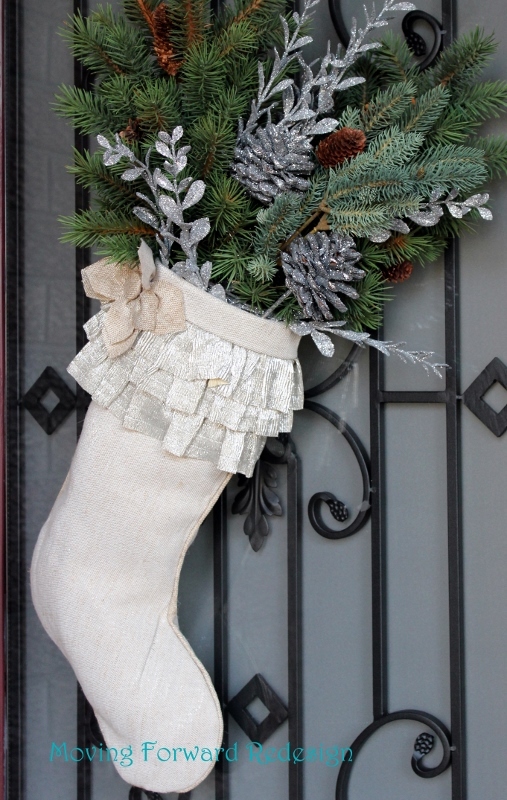 Simple, pretty and a little different from the usual wreath. Thanks for the good idea.